On August 12, 2013, Student filed her request for a due process hearing (complaint) with the Office of Administrative Hearings (OAH), naming the Contra Costa County Probation Department (Probation). On August 26, 2013, the 45-day decision timeline commenced with the parties’ written waiver of the resolution session and formal request to OAH to advance to decision timeline. OAH granted a continuance on September 16, 2013, and bifurcated the issue of whether Probation is a responsible public agency for a separate hearing, which determined Probation to be a responsible public agency. 1 This matter was heard concurrently with OAH Case No. 2013080449. Kara Janssen, Attorney at Law, represented Student. Student was not present at the hearing, except when testifying. Christina Ro-Connolly and Cameron Baker, Attorneys at Law, represented Probation. Bruce Pelle, Probation Director, was present for the entire hearing. The hearing commenced on October 28, 2013, and oral and documentary evidence were received. At the conclusion of the hearing, the matter was continued to December 4, 2013, at the parties’ request to submit written closing briefs. The record closed with the parties’ timely submission of closing briefs and the matter was submitted for decision. Issue 1: During those times in which Probation was the responsible public agency and not Contra Costa County Office of Education (County), from June 14, 2012, through July 2, 2012 and July 18, 2012 through the agreed upon and implemented August 7, 2012 individualized education program (IEP), did Probation deny Student a free appropriate public education (FAPE) by not providing comparable services, to the extent practicable, that were required by Student’s last agreed upon and implemented educational program prior to entering Juvenile Hall? d. Develop a plan to meet Student’s behavioral needs? Issue 3: During Student’s Juvenile Hall incarceration, did Probation deny Student a FAPE by failing to assess her in all areas of suspected disability? Issue 4: During Student’s Juvenile Hall incarceration, did Probation deny Student a FAPE by failing to implement her IEPs? d. Conduct a functional behavior assessment? 3 Student had named County as a party. Student settled her matter against County and dismissed County as a party on October 2, 2013. Student asserts that Probation denied her a FAPE on more than 100 days in which she could not attend Mt. McKinley, the Juvenile Hall school, and did not receive special education services in her IEP, which caused her to fail to make meaningful educational progress. Additionally, during those instances when Probation prevented Student from accessing educational opportunities, Student contends that Probation needed to assess her and develop an IEP that would provide her with a FAPE. Probation contends that Student grossly overestimates the days on which she did not receive educational services while on security restriction. Additionally, Probation argues that it provided Student with necessary mental health services, including the Girls in Motion program, which allowed her to make adequate progress in this area, and Probation never prevented County from providing counseling services. Probation also claims that Student is not entitled to any relief because she made educational progress while in Juvenile Hall. This Decision finds that Probation, while rightfully concerned about the safety and security of all Juvenile Hall residents and personnel, has the legal obligation to ensure that its eligible wards receive special education, even when disciplined or placed in protective custody. Probation sometimes prevented County from sending an aide into the housing unit to serve Student while on security restriction, which denied her a FAPE because she did not represent a security and safety threat, which could excuse Probation’s conduct. While Probation prevented County personnel from providing specialized academic instruction, it never prevented the delivery of counseling services, or prevented County from assessing her or developing appropriate IEP’s. 4 There are three security levels: Special Program, Security Risk and Maximum Security, which will be discussed further in Factual Findings 5 through 8. 5 On December 17, 2013, legal counsel for Student informed OAH that Student had returned to Juvenile Hall. This decision only covers through October 16, 2013, and any subsequent alleged violations need to be raised through a new complaint. 2. Student was eligible for special education services before and during her detention in Juvenile Hall. The Antioch Unified School District (Antioch) found Student eligible on May 16, 2011, under the category of other health impaired. At its October 30, 2011 IEP team meeting, Antioch placed Student in a non-public school. On May 6, 2012, Antioch changed Student’s special education eligibility category to emotional disturbance and placed her in a different non-public school because of her increasing behavioral problems. 3. At the prior hearing, the parties disputed whether Probation was a public agency responsible for providing special education services at all times while Student was detained in Juvenile Hall, just during specified periods or not at all. OAH found Probation to be a responsible public agency during those times in which it placed Student in a security level and she missed educational services from County. 4. California law imposes the obligation to educate a Juvenile Hall ward on County. Probation has the legal obligation to provide County with adequate space at Juvenile Hall to operate a school, Mt. McKinley, and has the duty to cooperate with County’s operation of the school. Probation and County developed a memorandum of understanding to effectuate this requirement in 2009, which included provisions for ensuring all children in Juvenile Hall receive an education, and meeting the special education needs of wards eligible for these services. In the jurisdictional hearing, Mr. Pelle, Probation Director of Juvenile Hall, admitted that he did not know of the existence of the memorandum of understanding until recently, and therefore not implementing it. 5. Probation’s security program is a disciplinary program for major rule violations, a pattern of minor rule violations, or for wards who present an immediate threat to another person. Probation recognizes that if a minor is segregated from the rest of the population, the ward is entitled to a hearing to contest being put on a security level or upgrade in the security level. This is applicable to wards on any of the three levels of security separation. Only wards on Special Program have the opportunity attend Mt. McKinley. Bulletin 502 does not discuss access for County personnel to provide services if the ward on a security level is not permitted by Probation to attend Mt. McKinley. 6. Special program is the lowest level of security segregation. Probation places a ward on Special Program for behavior modification if he or she constantly commits minor rule violations, or engages in behavior that creates a lower level safety threat, and to help integrate wards that have been in Security Risk or Maximum Security programs back to the general population. A probation institutional supervisor decides whether a ward is placed in Special Program and documents any restrictions on school attendance. If a ward with an IEP cannot attend Mt. McKinley, a County aide will enter the housing unit to provide instruction. 7. Probation places wards on Security Risk who present a safety risk or as a step down from Maximum Security. Wards on Security Risk cannot participate in any housing unit activity, including attending Mt. McKinley. As with wards on Special Program, Probation retains ultimate authority to determine when a ward may return to Mt. McKinley or if a County aide may enter the housing unit to provide instruction. 8. Probation prevents wards on the highest level of security program from attending Mt. McKinley, as the wards are confined to their rooms except for outside access for an hour a day. Probation maintains authority to decide whether County personnel can access a student on Maximum Security. Until recently, Probation’s policy was that a ward on Maximum Security could not be seen by County aides because of a threat to the tutor, Probation staff, other wards or that student. 9. Student’s IEPs provided academic services during her entire time at Juvenile Hall, and counseling services only after August 5, 2013. Student contends that Probation prevented County from providing these IEP services during times in which she was on one of the three security levels, primarily risk or maximum.6 Probation asserts that Student made meaningful academic progress even if Probation prevented Student from attending Mt. McKinley and receiving tutoring in the housing units from County instructional aides. 6 Student attempted to argue at this hearing that Probation denied her a FAPE anytime it prevented her from attending Mt. McKinley. However, this contention was rejected in the jurisdictional hearing and is not considered in this decision. 7 The issue of whether the County provided adequate counseling or academic services for Student to make meaningful educational progress is not at issue in this case because of the dismissal of the County as a party. 10. Student’s August 7, 2012 IEP placed Student in a general education setting with minimal special education services and no counseling services, even though her prior educational placement was a counseling-enriched, non-public school because of her mental health issues.7 County did little to provide a comparable educational program when Student entered Juvenile Hall and no evidence that County attempted to provide any counseling services before the August 7, 2012 IEP team meeting. However, those actions were by County, not Probation. 11. Eventually, Student received mental health counseling in Girls in Motion program, which contracted out this function to Contra Costa County Mental Health (Mental Health). Mental Health also conducted two mental health assessments that it presented to the juvenile court. Even though counseling was not in Student’s IEP, Probation attempted to address the behavioral and mental health issues that led Student to get into fights with other residents, which hindered her academic progress and necessitated keeping her in Juvenile Hall. Student still had anger control problems when she left Juvenile Hall, but they significantly reduced because she used the techniques of the Girls in Motion program. 12. Student’s August 5, 2013 IEP provided her with weekly counseling, 30 minutes a session, and the October 1, 2013 IEP added mental health services.8 Student received these services from County school psychologist Suzanne Heim-Bowen, who was able to provide counseling services to all students on any security level. If the student was not available, Ms. Heim-Bowen rescheduled her visit and saw the student at another time. Accordingly, Probation never prevented County school psychologists from providing IEP counseling services or assessing Student. 8 County’s August 5, 2013 and October 1, 2013 IEP offers are not at issue in this hearing because Probation did not exclude Student from Mt. McKinley from July 15, 2013, through her exit from Juvenile Hall on October 16, 2013. 13. Student’s August 7, 2012 and August 5, 2013 IEP’s provided for 45 minutes a day of specialized academic instruction provided by an instructional assistant. One of two County instructional aides provided this service to an eligible student. The services were provided in the housing unit if the student was on a security level and could not attend Mt. McKinley. County’s procedure at all times relevant to this action was for one of the instructional aides to telephone the probation counselor on each housing unit to find out which students would not attend Mt. McKinley. At times relevant, the probation counselor informed the instructional aide of the particular security level for the student. The instructional aides made a plan to visit students to provide the specialized academic instruction in the housing unit. They prepared a log sheet for each student that stated the date; the reason why the student did not attend Mt. McKinley, including the particular security level; the amount time the aide worked with the student, if any; which aide worked with the student; the housing unit; and, if the aide could not provide the academic instruction, the reason why. Probation only documented the underlying incident that caused Probation to place the student on a security level, not how long the student remained on a security level or whether that status prevented County from providing education services. 14. County instructional aide Leslie Bruin was convincing that she and her colleague, who trained her, followed this procedure and recorded each day an eligible student did not attend Mt. McKinley and therefore needed to receive tutoring in the housing unit. The work log established that there were 114 days on which County provided tutoring to Student in the housing unit during the 2012-2013 and 2013-2014 school years, and 20 days in which Probation did not permit an aide to see Student. Those 20 days do not include instances in which Student refused to see the aide, when Student was not available because she was in court or County did not make the tutoring available. Additionally, there were days on which a County aide provided less than one hour of instructional services, but that was a decision by County, not Probation. 15. Probation attempted to demonstrate that, during those times in which Student was on a security level and it prevented County from seeing Student, the County aides were responsible because that they did not inform Probation when they would visit the housing unit so Probation could have the appropriate staffing. However, Probation knew from the morning phone call from the County aides which students would not attend Mt. McKinley because they were on a security level. While Probation did not know which students would receive specialized academic instruction, Probation could have easily determined that by asking the aides, and then ensuring that the housing units had appropriate staffing. 9 Dr. Leone is a professor at the University of Maryland in its Department of Special Education, and has taught there since 1981. He was also the director of the National Center on Education, Disability and Juvenile Justice from 1999 through 2006, and published numerous scholarly articles on providing education to incarcerated juveniles, especially those needing special education services. Dr. Leone has also consulted with correctional facilities on providing educational services to incarcerated juveniles, and been an expert in these matters for court proceedings and consent decrees, for the Los Angeles County Office of Education and its juvenile court school at the Challenger Memorial Youth Center, among others. 10 After the hearing, Probation filed a motion to augment the record to introduce a Los Angeles County Probation policy, issued June 6, 2013, to impeach Dr. Leone’s testimony. Probation’s motion to augment the record is denied as Probation did not establish why it did not discover this document before the hearing, nor why this document was so important that the record should be re-opened for its introduction. 11 California Code of Regulations, title 15, sections 1300 et seq. 17. Additionally, state regulations11 and Probation’s memorandum of understanding with County required Probation to do more than it did to ensure that wards received educational services. Mr. Pelle admitted that he was not even aware of this memorandum of understanding until soon before the filing of the complaint in this matter. 18. While Probation has legitimate safety and security concerns about protecting Probation personnel, County staff and residents, based on the incident reports and information from Ms. Bruin and probation personnel, Student did not pose such a risk that she could not continue her education. Student did have physical altercations while in Juvenile Hall, primarily with other residents and not with Probation or County personnel. The evidence did not establish that Student presented a significant threat to the safety of Probation and County personnel, or that Student’s conduct was so threatening to other residents that County instructional aides could not safely provide educational services, especially if Probation provided proper staffing. 19. Therefore, Student established that she missed 20 days of educational services when Probation was a responsible public agency and she was not such a safety or security threat to prevent tutoring. Probation failed to undertake sufficient measures to ensure that County aides could enter the housing units to provide instruction. Accordingly, Probation is responsible for Student’s inability to receive 20 days of specialized academic instruction required by her IEP. 20. Student contended that when Probation was a responsible public agency, Probation should have assessed her in all areas of suspected disability and held IEP team meetings to update her IEPs. Probation asserted that even if it was required to provide educational services because it would not permit County to serve Student, County was still able to assess Student and conduct IEP team meetings. 21. Student did not establish that Probation’s actions prevented County from assessing Student or obtaining information regarding her suspected disabilities based on information from Mt. McKinley Principal Rebecca Corrigan and Ms. Heim-Bowen. Probation did not keep County personnel from seeing Student for extended periods. While Probation and Mental Health had important information regarding Student’s emotional problems that affected her ability to make meaningful educational progress, County made little or no effort to obtain such information from Probation or Mental Health. While County invited Probation to attend IEP team meetings where Probation could have shared information, Probation did not attend. However, County could have obtained the same information by speaking to Probation staff before the IEP team meetings and reporting the information. County could have done the same by contacting Mental Health therapists, who provided service on contract with Probation, after obtaining a release of information. Therefore, while Probation and Mental Health had important information concerning Student, Probation did not hide this information and County could have easily obtained it during those times when Student could not attend Mt. McKinley. 22. Therefore, while Probation prevented Student from attending Mt. McKinley for long stretches of time while she was on a security level, Probation’s conduct did not prevent County from obtaining information to determine whether it should assess Student or hold an IEP team meeting. Accordingly, Probation was not required to assess Student or hold IEP team meetings to update or develop IEP’s while Student was in a security level and prevented from receiving educational services. 12 Unless otherwise indicated, the legal citations in the Introduction and Juvenile Hall Responsibilities sections are incorporated by reference into the analysis of each issue decided below. 8. Children placed in a juvenile hall are entitled to a FAPE. (Ed. Code, § 56150.) Juvenile court schools provide educational services to all students “detained” in juvenile halls. (Ed. Code, § 48645.1) Regardless of the residence of the parents or legal guardians of such children, the responsibility for providing a FAPE to any student who is detained in juvenile hall rests with the local county board of education, which is the LEA. Education Code section 48645.2 provides that the county board of education shall operate juvenile court schools, or contract out their operation to the respective elementary, high school, or unified school district in which the juvenile court school is located. Probation Officer, or designee. The school and facility administrators shall develop written policy and procedures to ensure communication and coordination between educators and probation staff. The facility administrator shall request an annual review of each required element of the program by the Superintendent of Schools, and a report or review checklist on compliance, deficiencies, and corrective action needed to achieve compliance with this section. The educational program shall be integrated into the facility’s overall behavioral management plan and security system. School staff shall be advised of administrative decisions made by probation staff that may affect the educational programming of students. Expulsion/suspension from school shall follow the appropriate due process safeguards as set forth in the State Education Code including the rights of students with special needs. The facility administrator, in conjunction with education staff will develop policies and procedures that address the rights of any student who has continuing difficulty completing a school day. Educational instruction shall be provided to minors restricted to high security or other special units. State and federal laws shall be observed for individuals with special education needs. Non-English speaking minors, and those with limited English-speaking skills, shall be afforded an educational program. Issue 1: During those times in which Probation was the responsible public agency and not County, from June 14, 2012, through July 2, 2012, and July 18, 2012, through the agreed upon and implemented August 7, 2012 IEP, did Probation deny Student a FAPE by not providing comparable services, to the extent practicable, that were required by Student’s last agreed upon and implemented educational program prior to entering Juvenile Hall? 14. Student asserts that Probation should have provided her with a educational program comparable to her May 20, 2012 IEP from Antioch between her entry into Juvenile Hall through the August 7, 2012 IEP team meeting when Probation was the responsible public agency. Probation asserts that it did not allow County personnel into the housing unit to tutor Student for legitimate safety and security reasons. 16. While a comparable educational program in Student’s case would have been placement in a non-public school, such a placement was not possible because Student was incarcerated in Juvenile Hall after failing her first group home placement and awaiting a subsequent placement.14 Further, County does not have a special education classroom in Juvenile Hall that Student could have attended to receive comparable services. As to the counseling services that Student received as part of the non-public school placement, the evidence is not clear that Student received any counseling from County before the August 7, 2012 IEP team meeting or probation prevented County from providing counseling. However, Student did not establish that Probation prevented County from providing any counseling services. Accordingly, Student only established that Probation did not provide comparable academic services up through August 7, 2012 IEP team meeting. 14 Probation did not prevent Student from attending Mt. McKinley before her first group home placement. Issue 2a: During Student’s Juvenile Hall incarceration, did Probation fail to develop an IEP that met Student’s unique needs because Probation failed t o consider a continuum of placements to meet her unique needs? 17. Student asserted that, during those times in which Probation was a responsible public agency, it was required to consider other placements because it knew that her unique needs could not be met in Juvenile Hall. Probation contended that even during those times when Probation was a responsible public agency for academic services, County retained responsibility to determine Student’s educational placement, and in any event Student made meaningful educational progress while in Juvenile Hall. 19. A problem exists for students in Juvenile Hall as County does not have the ability to place a child in an educational program outside of Juvenile Hall without juvenile court permission. County did not make Student’s two group home placements, but instead they were made by Probation, which researched placement options and chose the facilities. After the last failed group home placement, Probation obtained court approval for Student to attend Girls in Motion. 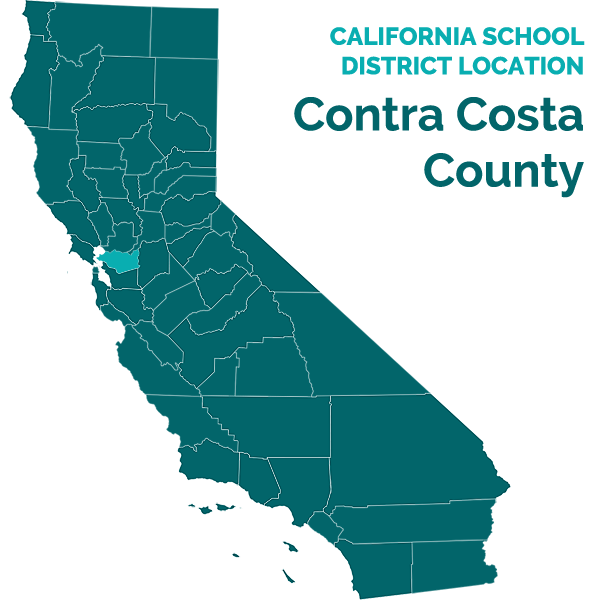 No evidence was presented of any involvement by County in Probation’s decision-making process regarding Student’s placement and long-term services. 20. However, Student failed to establish that Probation undertook any actions to prevent County from considering a continuum of placements when making a decision where to educate Student. The fact that County did not apparently consider any placement options other than its general education classroom at Mt. McKinley was not the responsibility of Probation, even though Student was incarcerated. County still had the obligation to consider all placement options, including a non-public school. (Student v. Sacramento City Unified School District and Sacramento County Office of Education (2013) Cal.Off.Admin.Hrngs. Case No. 2013010137.) Accordingly, Student did not establish that Probation had a legal obligation under the IDEA to consider other placements during those times in which it prevented Student from receiving educational services from County. Issue 2b: During Student’s Juvenile Hall incarceration, did Probation fail to develop an IEP that met Student’s unique n eeds because Probation failed to offer Student special education services to meet her unique needs, including specialized academic instruction, mental health services and counseling, and behavior services? Issue 2c: During Student’s Juvenile Hall incarceration, did Probation fail to develop an IEP that met Student’s unique needs because Probation failed t o develop measurable goals to meet Student’s unique needs in the areas of behavior ? Issue 2d: During Student’s Juvenile Hall incarceration, did Probation fail to develop an IEP that met Student’s unique needs because Probation failed t o develop a plan to meet Student’s behavioral needs? Issue 5b: During Student’s Juvenile Hall incarceration, did Probation deny Student a FAPE by failing to convene IEP team meetings when Student did not meet her IEP goals? 21. Student contended that Probation was required by law to assess her and develop IEP’s that met her unique needs, especially her academic, mental health and behavioral needs, during those times in which Probation prevented her from receiving educational services from County. Probation asserted that it never prevented County from developing appropriate IEP’s during those times so any failure to develop IEP’s was only County’s responsibility. 23. Student did not establish that during those times in which Probation prevented County from providing educational services, Probation prevented County from developing IEPs that met her unique needs. County developed IEP’s for Student in August 2012 and August 2013. While these IEP’s may not have met Student’s unique needs, that was County’s responsibility. Eight days was the longest consecutive period in which Probation prevented County access to Student, which was right before the August 2012 IEP team meeting. While County invited Probation to Student’s IEP team meeting and Probation did not attend, nothing prevented County from speaking to Probation to obtain needed information to develop an appropriate IEP. County never stated that Probation’s conduct prevented it from developing an appropriate IEP. Therefore, Probation did not deny Student a FAPE because it was not Probation’s responsibility and Probation did nothing to prevent County from obtaining information needed to develop an appropriate IEP. Issue 5d: During Student’s Juvenile Hall incarceration, did Probation deny Student a FAPE by failing to conduct a functional behavior assessment as her disciplinary conduct was related to her disability? 24. Student asserted that during those times when Probation was the responsible public agency for academic services that Probation should have assessed her in all areas of suspected disabilities. Probation contended that it never prevented County from assessing Student and that Mental Health conducted extensive mental assessments during the time in question. 26. County did assess Student and presented the report at the October 1, 2013 IEP team meeting. Student did not establish that Probation undertook any activity that prevented County from assessing Student. While Mental Health, on behalf of Probation, conducted two mental health assessments for the juvenile court in 2012 and 2013 respectively, County undertook no action to assess Student until it received a request from Student’s representatives to move up Student’s triennial assessment from May 2014 to September 2013. Accordingly, Student did not establish that Probation denied Student a FAPE by not assessing her during the 20 days in which it was the responsible public agency for academic services. Probation did not prevent County from assessing her, and it was at all times County’s duty, not Probation’s duty, to do so. Issue 4: During Student’ s Juvenile Hall incarceration, did Probation deny Student a FAPE by failing to implement her IEPs ? Issue 5a: During Student’s Juvenile Hall incarceration, did Probation deny Student a FAPE by failing to have qualified personnel provide Student with special education services? Issue 5c: During Student’s Juvenile Hall incarceration, did Probation deny Student a FAPE by failing to provide Student with special education services? 27. Student asserts that during those times in which Probation was the responsible public agency for academic services that Probation denied her a FAPE by not implementing her IEP. Probation asserted that during those periods that it had legitimate security and safety reasons to prevent County aides from serving Student either because it did not have adequate staffing to safely monitor Student and the aide or because Student had engaged in conduct that justified her placement in one of the security categories. 30. The County’s work logs for Student established 20 days in which Student did not attend Mt. McKinley while on a security level and for which Probation refused to permit the County aide to serve Student. Probation was not responsible for those days in which Student was not available when she was in court because her presence was required by the juvenile court, when Student refused to see the County aide, or when County did not provide the tutoring by its own accord. Finally, Probation did not limit the time for any visit when County aide’s provided services. 31. For the 20 days Probation refused County to provide educational services, Probation attempted to shift the blame onto County. Probation argued that the County aides failed to schedule their visits with Probation staff on duty in the housing units so Probation could have adequate staffing. Title 15 regulations call for Probation to ensure that wards receive certain services, such as education, while on a security level. However, Probation should have known that, when County aides called and Probation informed County that certain students would not attend Mt. McKinley, the County aides would attempt to see those students. Probation should have then ensured that it had the appropriate staffing to permit the aides’ visits. Dr. Leone established the myriad of options available to Probation to ensure safety and security during a student’s instruction, and that County personnel could safely have provided academic instruction. Finally, based on information in the special incident reports in evidence, Probation failed to demonstrate that Student presented such a safety and security risk that the County aides could not safely serve Student. 32. Probation’s obligation was to make Student available for educational services by County when Student was on security level and not permitted to attend Mt. McKinley. When Probation did not permit County to provide these services, Probation had the obligation to provide these special education services if it could do so safely. In this case, the only special education service that Student did not receive was specialized academic instruction on 20 days for which Probation did not establish that it was unsafe to educate Student. Probation’s placing Student on security level did not prevent Probation from providing counseling services from either the school or Mental Health, nor the ability of County to assess Student and develop an IEP. Therefore, the evidence established that the only special education services or processes that Probation did not permit County to provide involved 20 days of specialized academic instruction. 15 Before hearing, Probation submitted a motion to limit Student’s proposed resolutions to what Student requested in the complaint to preclude an award of counseling related services. However, Probation’s request need not be addressed as Student did not establish that she was entitled to compensatory counseling services. 16 Before hearing, Probation submitted a motion that requested the introduction in evidence of the settlement agreement between Student and County. Student objected to the introduction of the settlement agreement because it was a confidential agreement and had no relevancy to any of the issues for hearing. The ALJ ruled that the settlement agreement was admissible and relevant only to the awarding or implementation of any possible remedy. 18 Dr. Alice Parker, Student’s expert in the jurisdictional hearing, opined that one hour a day from a credentialed special education teacher would be appropriate for a student not permitted by Probation to attend Mt. McKinley. Dr. Parker oversaw the California Department of Education’s quality assurance process from 1997 through 2005, which oversees complaints made against public agencies regarding special education services. Student accepted in that hearing that one hour of tutoring would be appropriate for a missed school day, and Probation did not present any evidence to the contrary. To the extent that there is any conflict between Dr. Parker and Dr. Grandison, Dr. Parker is more credible based on her more extensive knowledge of special education instruction, as noted in the jurisdictional hearing, than Dr. Grandison. 38. However, Dr. Grandison’s formulaic proposal of two hours of educational service for one hour of missed education service is not supported by any research or other evidence. Additionally, Dr. Grandison did not separate how much of Student’s lack of educational progress was caused by County as opposed to Probation, or distinguish between educational loss caused by arguably unqualified teachers from hours of instruction missed. 39. While Dr. Grandison’s opinion as to amount of compensatory education Student requires is not persuasive, Probation’s contention that Student made adequate educational progress was not supported by the evidence either. Probation failed to produce adequate evidence to rebut Dr. Grandison’s opinion about Student’s lack of progress. 40. Student’s IEP’s and County’s and Dr. Grandison’s assessments established her academic deficiencies and lack of meaningful educational progress, which was caused in part by Probation’s conduct in preventing County from serving Student. Therefore, it appears equitable that Student receive 20 hours of specialized academic instruction through a qualified person of Student’s choice, such as the non-public agency providing tutoring in the settlement agreement with County. 1. As compensatory education, Probation shall fund and ensure delivery by June 30, 2014, of 20 hours of individual academic tutoring by a credentialed special education teacher or certified non-public agency of Student’s choice. 2. To determine if Probation is a responsible public agency for wards on a security level, Probation shall keep accurate records of any time it cannot safely and securely provide special education services, and the reasons for its decision to prevent County from doing so and comply with applicable legal requirements for any exclusion that exceeds ten days in any school year. Education Code section 56507, subdivision (d), requires that the hearing decision indicate the extent to which each party has prevailed on each issue heard and decided. Student partially prevailed on Issues 4, 5a and 5c. Probation partially prevailed as to Issues 4, 5a and 5c. Probation prevailed on Issues 1, 2a, 2b, 2c, 2d, 3, 5b, and 5d.